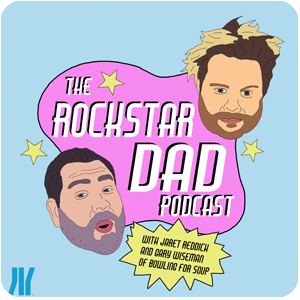 Jaret Reddick and Gary Wiseman, two members of the American band Bowling For Soup recently had Sebastien from Simple Plan on their podcast The Rockstar Dad, in which they like to discuss the highs and low of being a parents. In this episode, which was already released at the end of October, the BFS duo talked to Seb about how he handles being a rockstar and a Dad at the same time. Sebastien revealed many insights into his own personal life which he shares with his wife and a 4-year-old daughter Clara and also was asked about his band’s upcoming music plans. Sebastien noted that Simple Plan are currently writing new songs and hopefully they might have some new music (perhaps a single) out early next year and the full album then whenever they have enough songs to actually put one together.